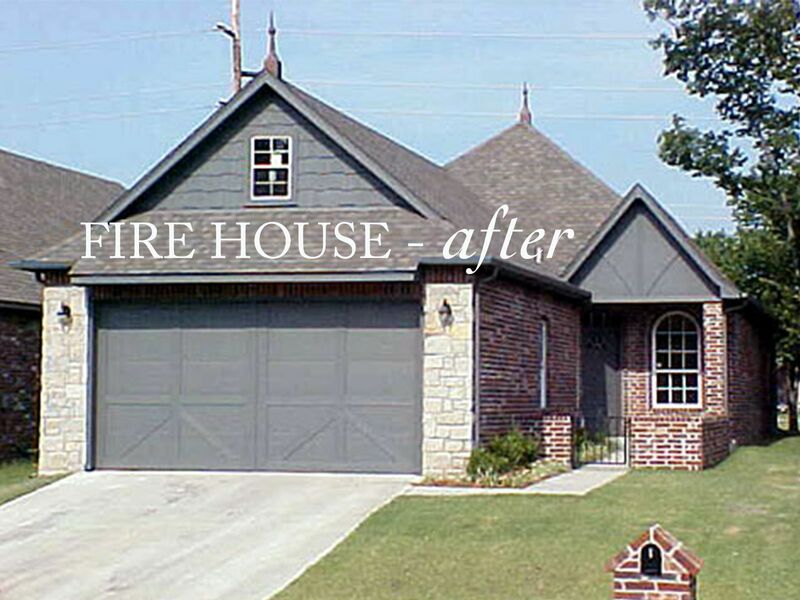 This fire damaged house remodel was CC and Mike’s first official Tulsa home remodel project. 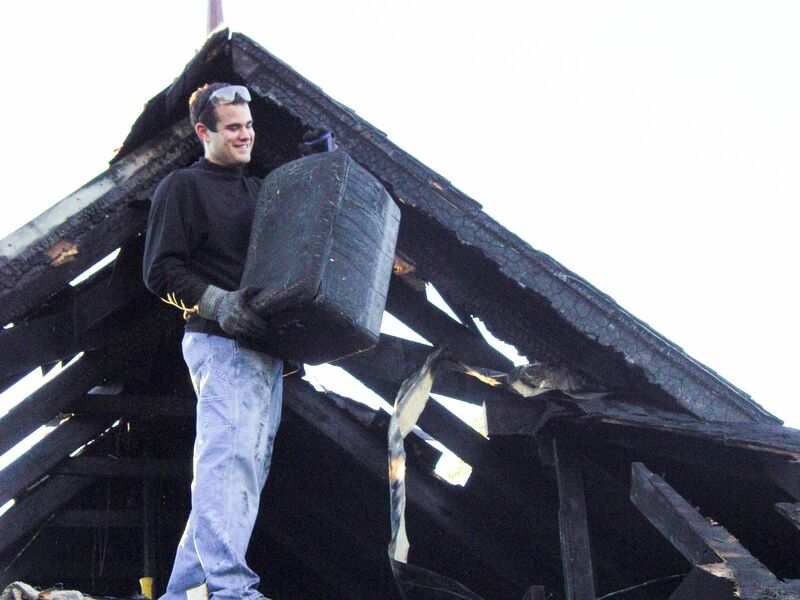 And in typical CC and Mike fashion, when I drove by this house, I saw nothing but potential even in this charred and mangled mess while Mike Miller, on the other hand, was very skeptical. He ran the numbers and did his calculations, and ran his numbers and did a few more Excel spreadsheets and finally, we made an offer. We spent several months doing the hardest work of our lives on this house. We wore masks and cleaned out every square inch of it. I salvaged everything that I could – yes, I still have a Kitchen Aid mixer AND a Dyson vacuum cleaner thanks to the good old fire house—and we had not one, but two garage sales with leftover items from the house that weren’t ruined. Michael and my dad reworked the electrical and stripped the entire house with Killz Paint. Man, it was some hard work but boy was it worth it. I hate that I don’t have any interior pictures of this house. It was before I started this blog and before I ever realized that there would, one day, be this little business called CC and Mike. 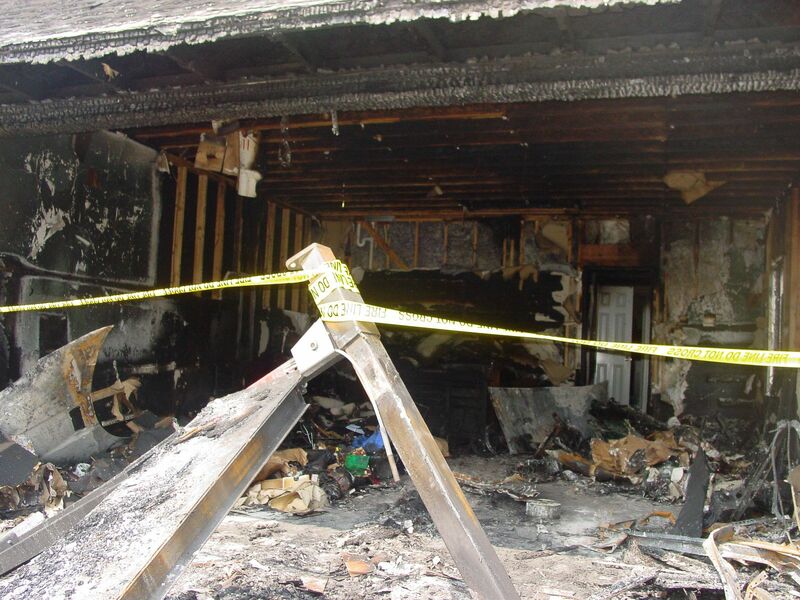 But nonetheless, this fire damaged flip will forever be the project that stands out in my mind as what got us started. It was where we realized we had a love for taking what is old and broken and maybe even charred beyond existence, and turning it into something beautiful. If you would like to see more of CC and Mike’s projects, you can subscribe to our blog and/or follow us on Instagram | Facebook | Twitter | Pinterest. You can also check out Coming Soon to see an exciting upcoming project in South Tulsa and if you’d like to see the most recent home that we built for ourselves, check out Stonebrook II. Thanks so much for stopping by CC and Mike’s! Hope you will follow along with us on this crazy adventure we call life!